On Sale Now! 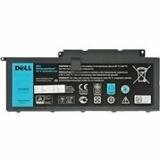 Save 9% on the Dell Battery 4 Cell 54 Whr, 451-BBOG by Dell at Pacs BG. MPN: 451-BBOG. Hurry! Limited time offer. Offer valid only while supplies last. Always on the go? No more worries about running out of battery power. You can power your Laptop with this 4-Cell Lithium-Ion Battery from DellTM.